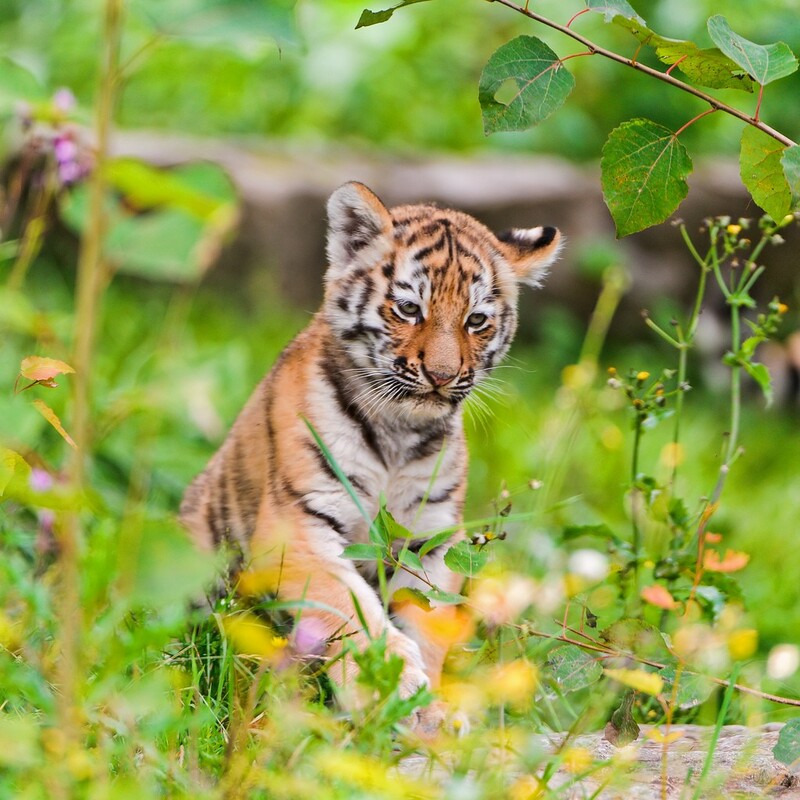 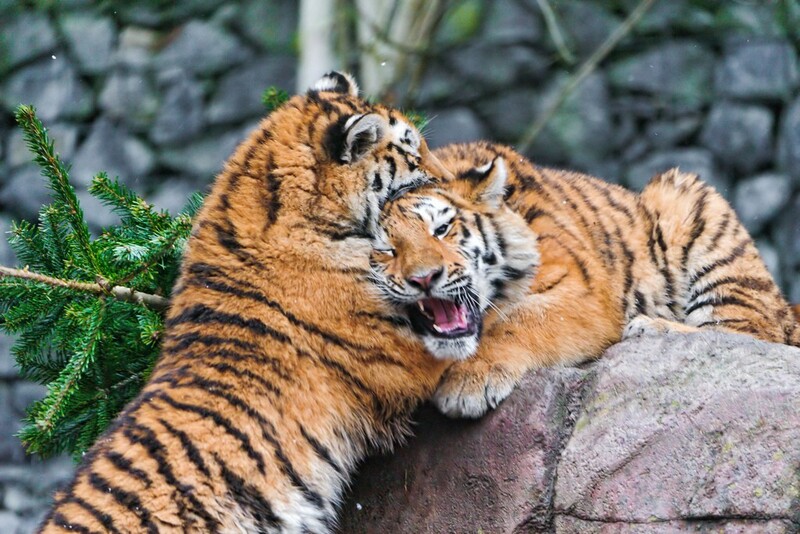 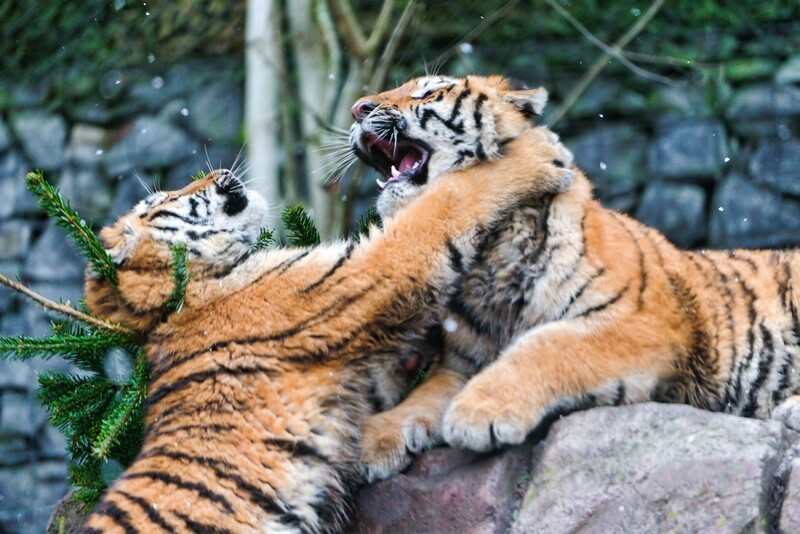 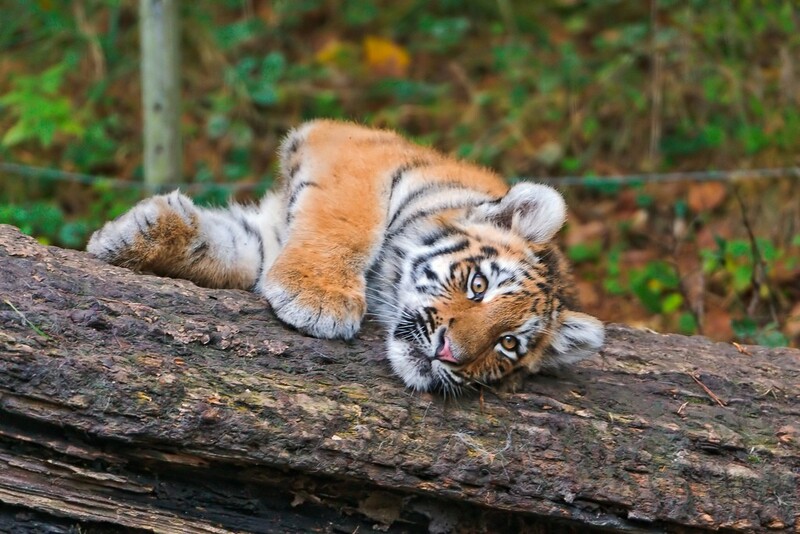 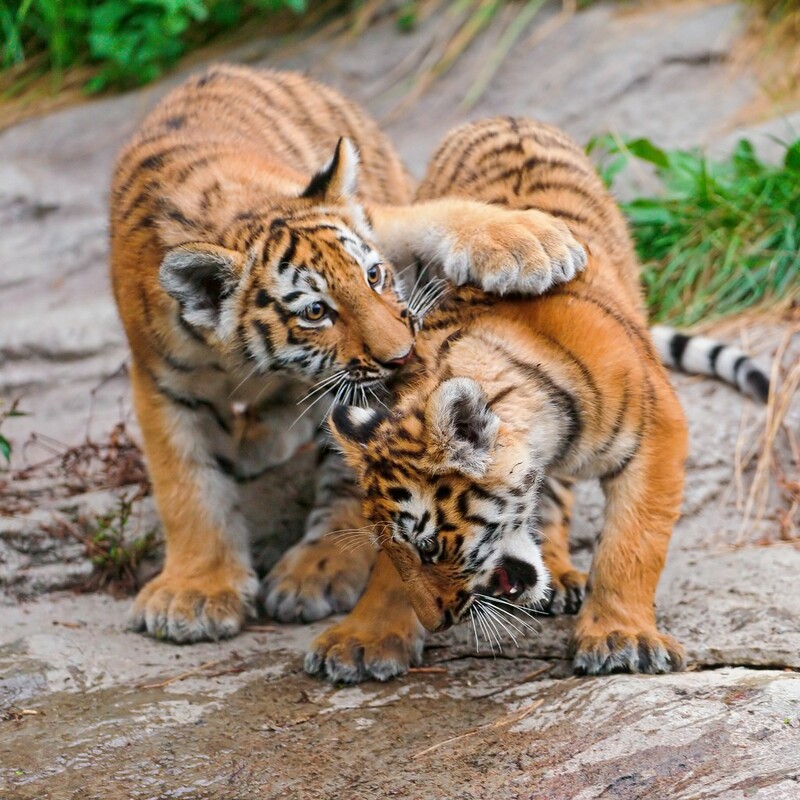 Pictures of siberian tiger babies taken in the zoo. 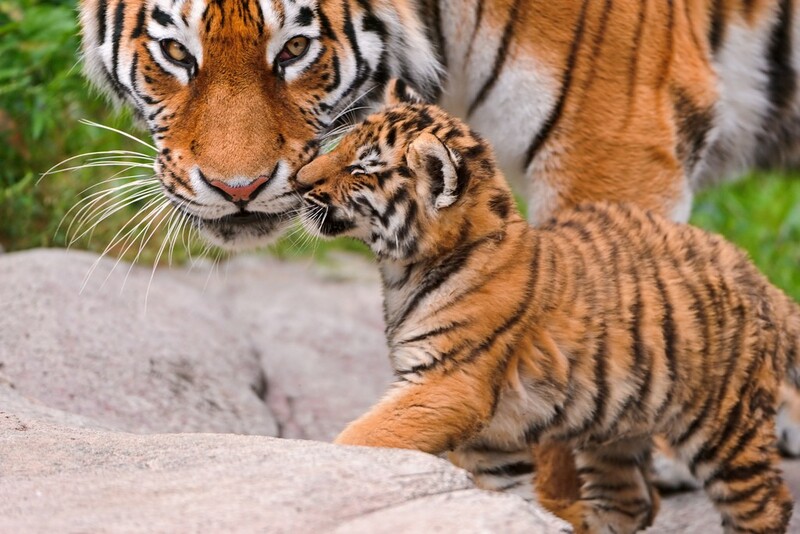 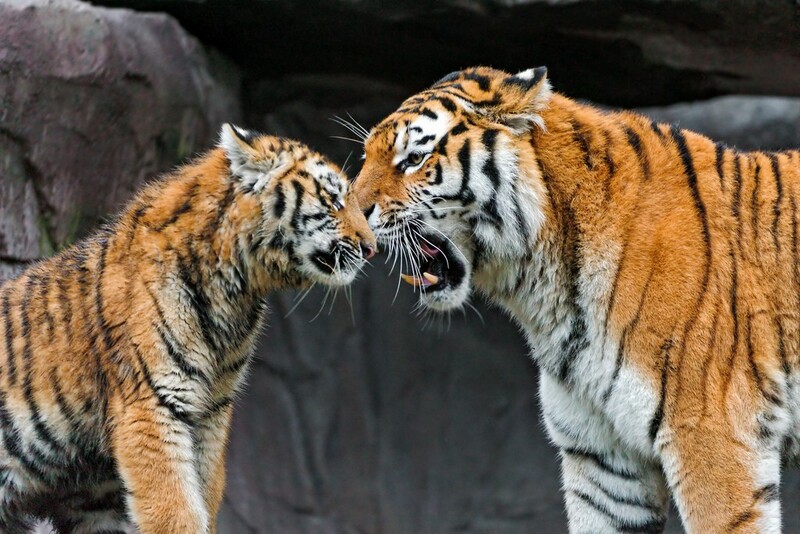 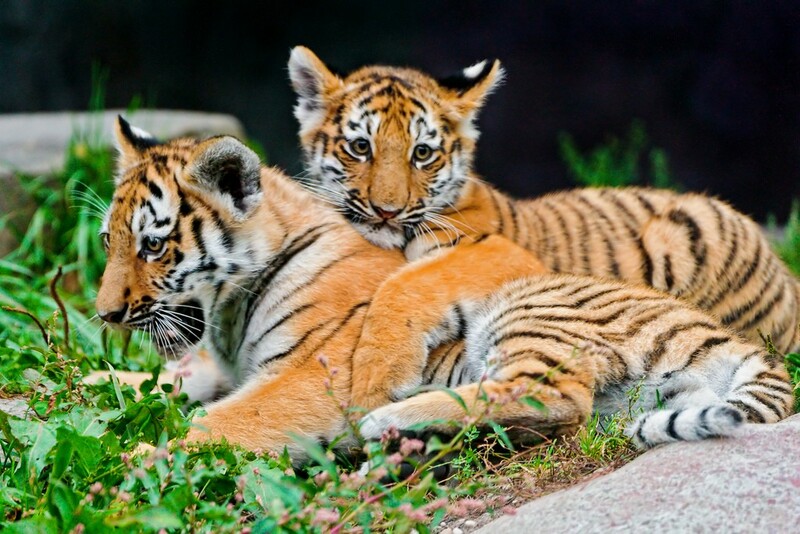 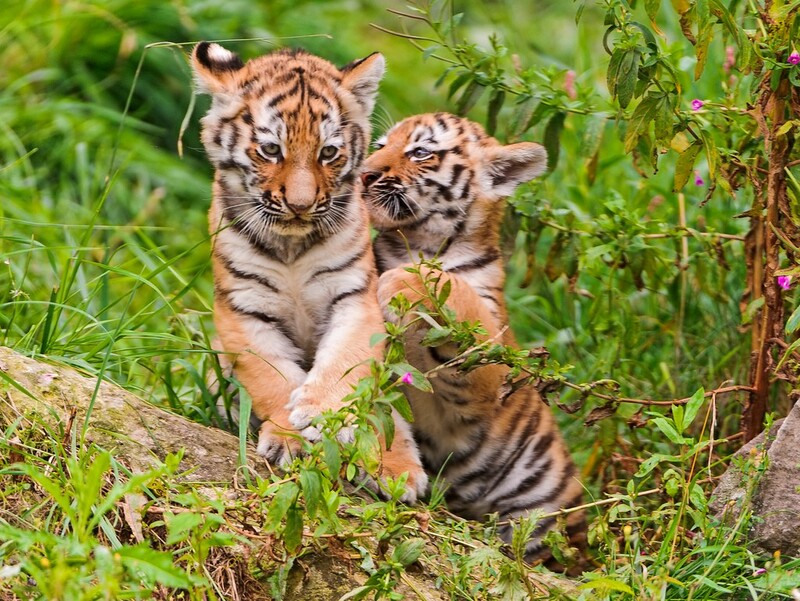 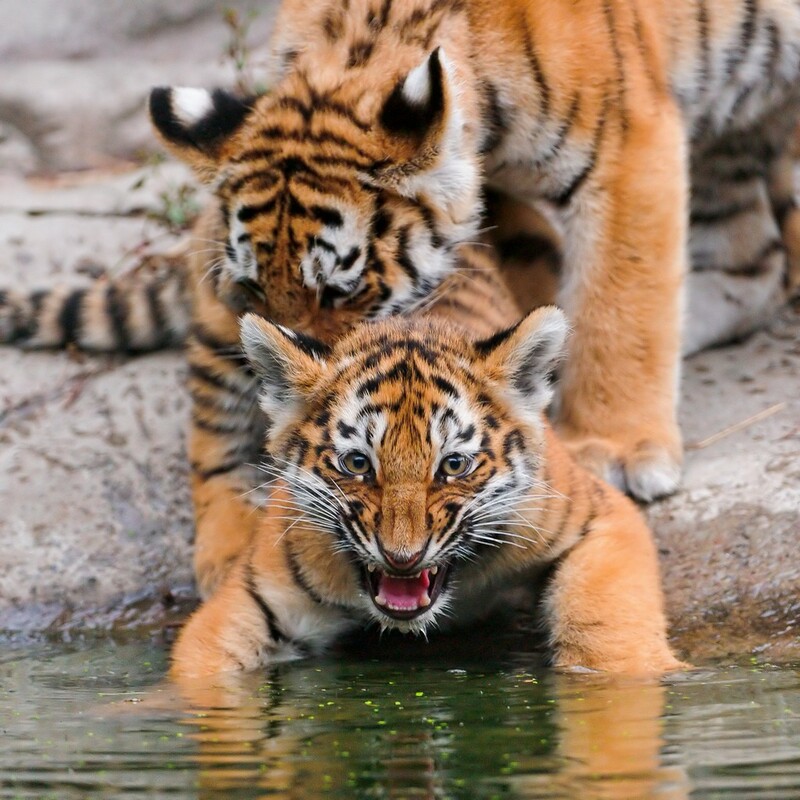 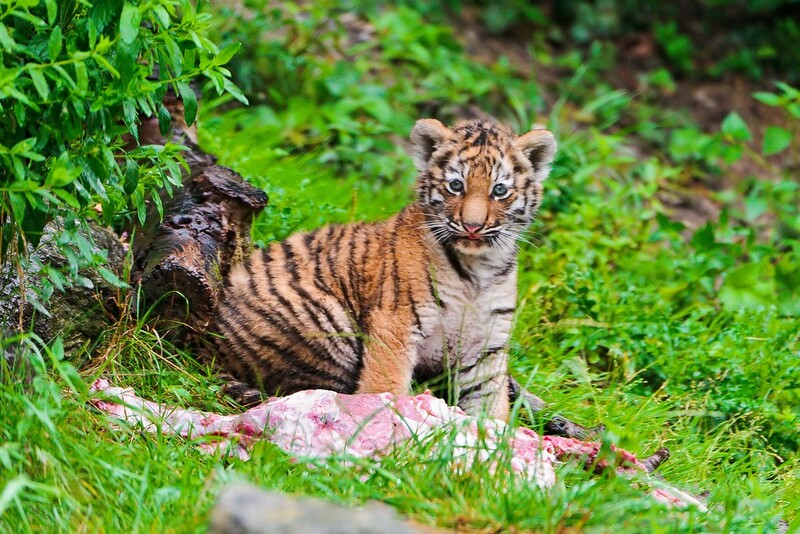 Three Siberian Tiger cubs were born on May 15, 2011 at the Zürich Zoo in Switzerland. 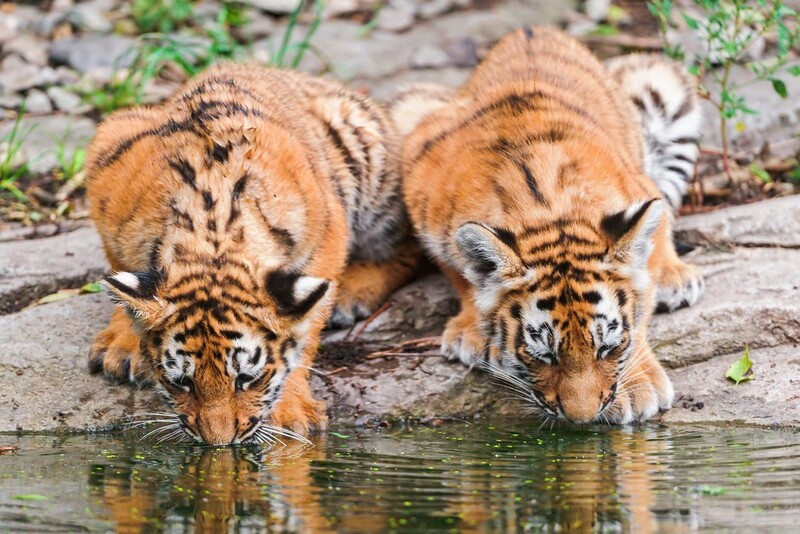 There’s one male named Lailek, and two females named Luva and Liska. 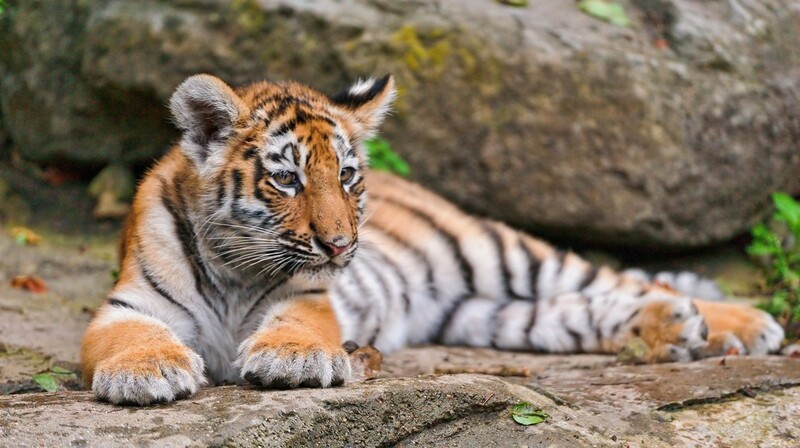 The Siberian tiger, also known as the Amur tiger, is a tiger subspecies inhabiting mainly the Sikhote Alin mountain region with a small subpopulation in southwest Primorye province in the Russian Far East. 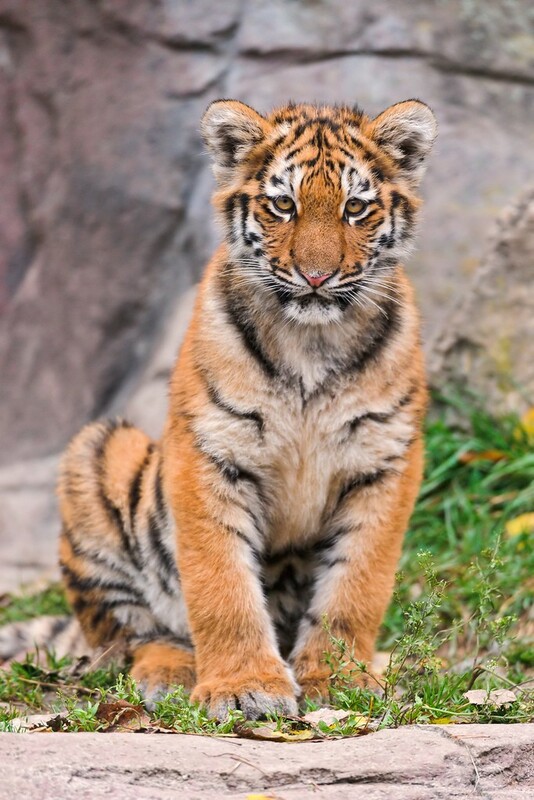 They are the largest of the tiger species and can grow up to 13 feet in length and weigh up to 700 lbs. 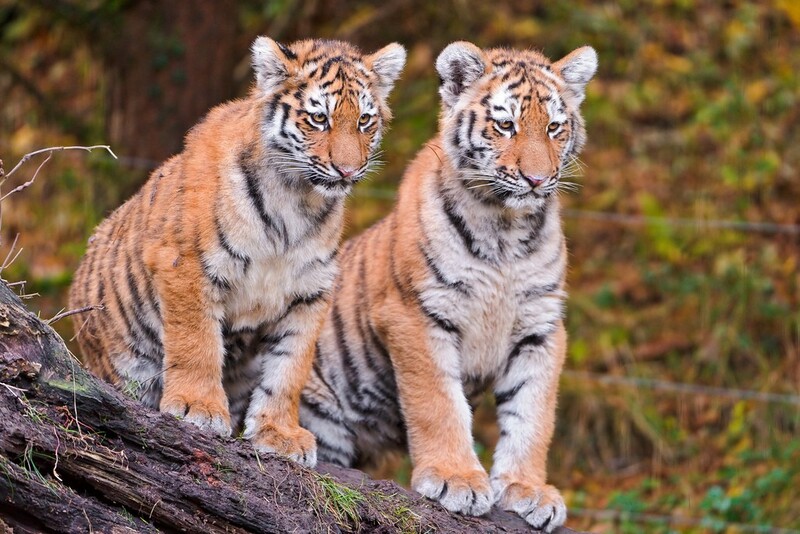 The Siberian tiger spends a lot of time hunting because only about one in ten of its hunting trips is successful. 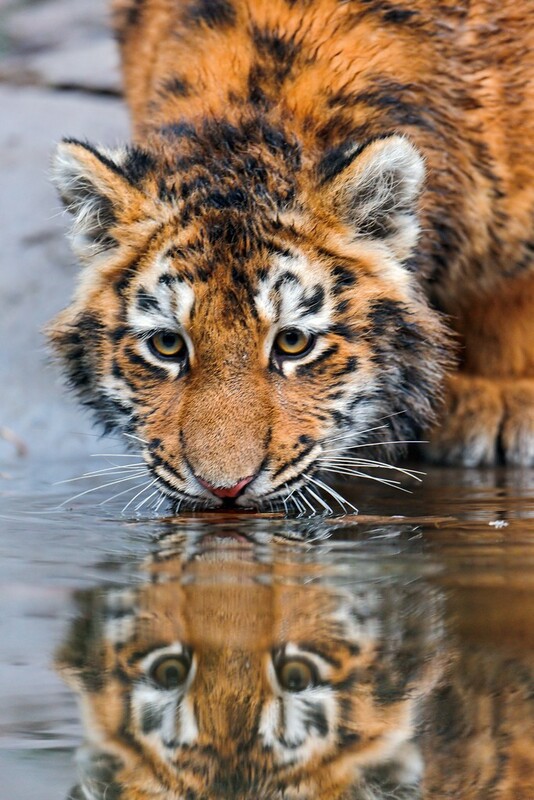 It preys mainly on deer and wild pig, but it also eats fish. 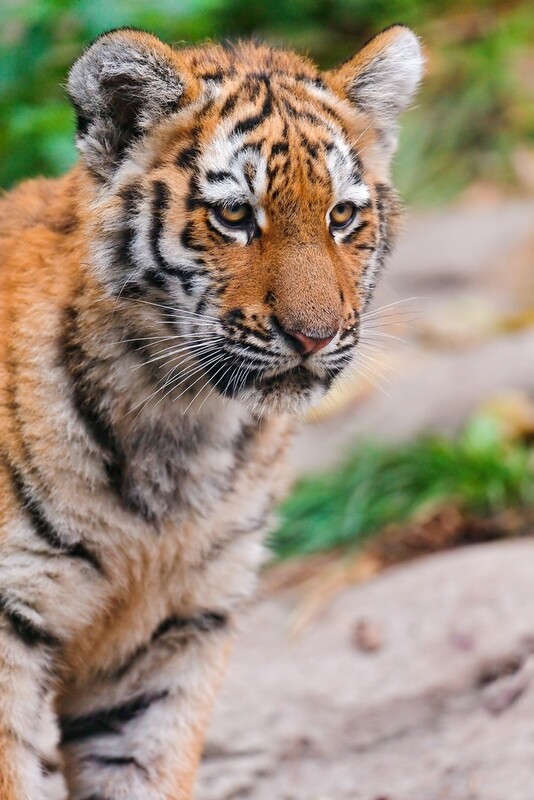 The Siberian tiger needs to eat over 20 pounds of meat a day to sustain itself in the cold climate. 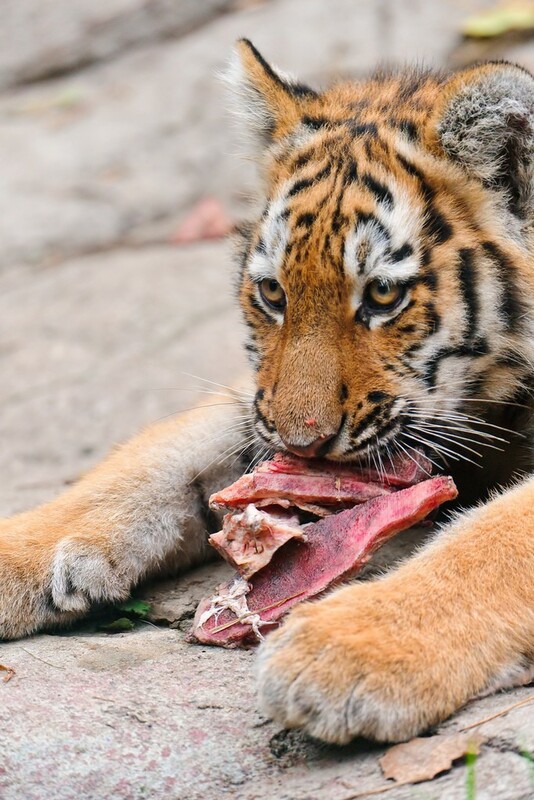 It is capable of eating over 100 pounds of meat in one sitting.